Jay Baruchel is joined by fiancee Rebecca-Jo Dunham at the premiere of his new movie How to Train Your Dragon: Hidden World on Saturday afternoon (February 9) at Regency Village Theatre in Westwood, Calif. The 36-year-old actor was also joined at the premiere by his co-stars America Ferrera and Gerard Butler. Other cast members at the event included Craig Ferguson, Christopher Mintz-Plasse, and F. Murray Abraham along with director Dean DeBlois. How to Train Your Dragon: Hidden World hits theaters on February 22. FYI: America is wearing a J. Mendel dress, Jimmy Choo shoes, KatKim earrings, and Sara Weinstock rings while carrying an Edie Parker clutch. Mila Kunis looks stunning while showing off her slimmed down body in her first official post baby appearance during an interview on The Late Late Show with Craig Ferguson on Wednesday (December 10) in Los Angeles. The 31-year-old actress, who is currently promoting her films The Color of Time and Jupiter Ascending, opened up about her baby girl Wyatt for the first time during the interview and says she lost her pregnancy weight by breastfeeding. Mila also told stories from her days working on That ’70s Show when her mom made her work shifts at Rite Aid after wrapping her work on set. Watch below! FYI: Mila is wearing an ALC dress and Dana Rebecca Designs earrings and rings. 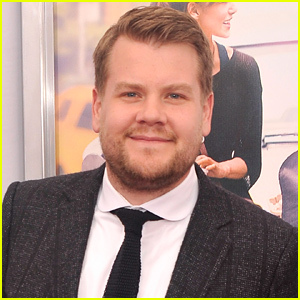 James Cordon has officially been announced as the replacement for Craig Ferguson on The Late Late Show on CBS! The Into the Woods actor will take over in 2015. The great Joan Rivers passed away yesterday afternoon (September 4), and the world of comedy mourned the loss of a great legend. The late night hosts – Jimmy Fallon, Jimmy Kimmel, David Letterman, Conan O’Brien, Seth Meyers, and Craig Ferguson – paid their respects to the 81-year-old comedienne who always made everyone laugh. “She’s one of the funniest people in the world ever. 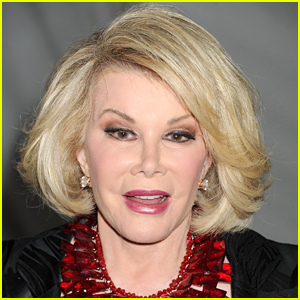 We loved her, the crew loved her, everyone loved Joan Rivers. She was fearless. She would come out and say what you were thinking but wouldn’t say it. You would stop, but she wouldn’t stop. A lot of people thought her humor was mean, but she just wanted to make everyone laugh. And she could take a joke just as easily as she could dish it out. … We had her on our very first ‘Tonight Show’ when we took it over. I was so blessed to do that,” Jimmy Fallon said during his tribute. 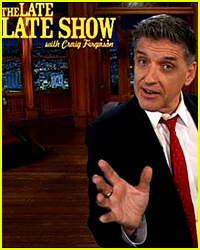 James Corden has been tapped to replace Craig Ferguson as the host of The Late Late Show on CBS! While it has not been officially confirmed, the 35-year-old actor is reportedly all set to take over, The Wrap reports. You may recognize James from the Keira Knightley and Adam Levine movie Begin Again. He can also be seen as the Baker in the highly anticipated movie Into the Woods, which comes out this December. 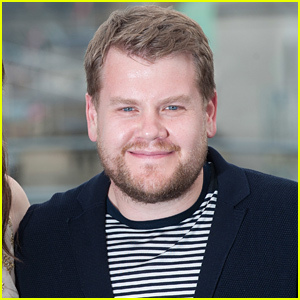 WHAT OD YOU THINK of James Corden as the upcoming host of The Late Late Show? ?